Annabelle is an upcoming 2014 American supernatural horror film directed by John R. Leonetti, produced by James Wan, and written by Gary Dauberman. 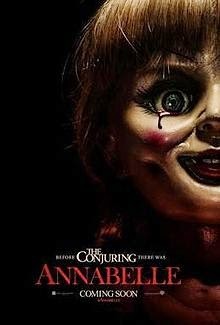 It is both a prequel to and spin-off of The Conjuring. The film stars Annabelle Wallis and Ward Horton. The film will be released worldwide on October 3, 2014.